Monalisa and Vikrant were celebrating their day in Colombo. Bhojpuri actress Monalisa aka Antara Biswas not only knows how to make heads turns, but also to celebrate life. Celebrating her second wedding anniversary with husband Vikrant Singh Rajpoot in Colombo, Sri Lanka, she shared some pictures of the two of them having a good time. Monalisa had married Bhojpuri actor Vikrant in the Bigg Boss house on January 17, 2017. Tagging the pictures as airport look, Monalisa was dressed in a dark blue outfit that had a thigh-high slit, which she accompanied with thigh-high boots. 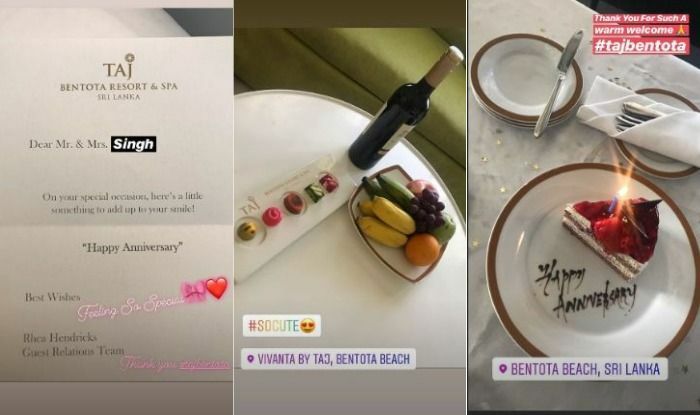 Apart from the pictures in her account, Monalisa also shared some Instagram stories, showing the welcome they got at the hotel. With 1.5 million followers on Instagram, Monalisa enjoys a good fan following on social media and she never disappoints them.